The contents of a House Intelligence Committee Memo was the subject of a recent appearance by Representatives Jim Jordan (R-OH) and Matt Gaetz (R-FL) on Fox News Channel. They believe it is not enough that Senior DOJ and FBI Officials, whose names appear in the House Intelligence Memo, simply lose their jobs (which would allow them to collect retirement benefits). “The fact that DOJ and FBI senior officials like Peter Strzok, Andrew McCabe, Bruce Ohr, and undoubtedly many others, continue to hold onto jobs in the DOJ and FBI, is reason for consternation,” they wrote.. 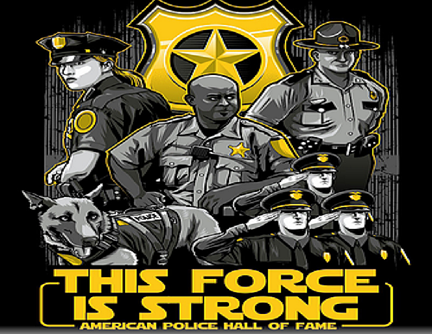 Many law enforcement officers who’ve experienced ill-treatment by federal agents believe it’s time to “call off the dogs” in the U.S. Justice Department and its tarnished law enforcement branch, the Federal Bureau of Investigation, from conducting investigations of suspected police criminal acts, federal charges of civil rights violations and the probing of alleged police officer misconduct. “Clearly there must be oversight of law enforcement, but today’s Justice Department attorneys and FBI special agents are not the people who should be investigating cops,” said former police training officer Conner McLaughlin. “If anything those two agencies should be subjected to a thorough and far-reaching investigation in light of recent politicization of federal law enforcement and the intelligence community,” McLaughlin told Conservative Base. Not only do Americans need to suspect the top federal cops and spies such as James Comey, John Brennan, James Clapper, Andrew McCabe, Peter Strzok, and numerous others, but there a Deep State operators who are protecting them. 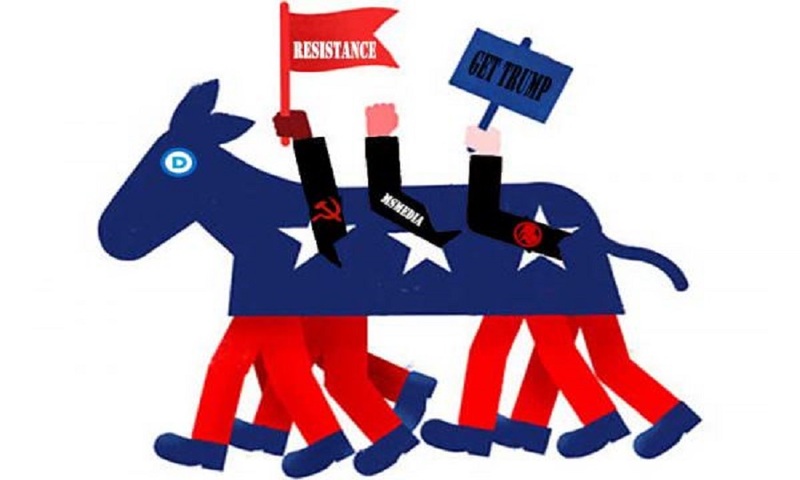 “It’s almost as if the Democratic Party is now permanently running national security and the news media is assisting them every step of the way,” according to former Detective Iris Aquino, now a director of security. “If ever there was a time we needed to drain the swamp in our nation’s capital, it is now. We cannot survive as a free nation if we allow cops and spies to do as they please,” Aquino added. Here are questions that must be answered truthfully and under oath by our lawmakers and perhaps a Special Counsel with a staff of lawyers and investigators who are professionals rather than political hacks, according to several police officials who spoke to Conservative Base’s editor. Why are these senior DOJ and FBI officials still holding positions in the Federal Government? Why are they still receiving paychecks, courtesy of the American taxpayer? Why do they still hold top secret security clearances? Why aren’t these people and others avoiding being fired immediately? Shouldn’t they be investigated for serious crimes against this nation and the American people. Why didn’t Attorney General Jeff Sessions go against these individuals trying to bring down a duly elected President? Do high-ranking officials in the DOJ, and in the FBI, as well as in other Cabinet-level Departments, and in the Military, and in the Intelligence Community, control and manipulate the executive branch of the government? The law governing the federal agencies actions in probing complaints of local police crime or misconduct should be applied to those very federal agencies, as well. “This law makes it unlawful for State or local law enforcement officers to engage in a pattern or practice of conduct that deprives persons of rights protected by the Constitution or laws of the United States. (34 U.S.C. § 12601). “The types of conduct covered by this law can include, among other things, excessive force, discriminatory harassment, false arrests, coercive sexual conduct, and unlawful stops, searches or arrests. In order to be covered by this law, the misconduct must constitute a “pattern or practice” — it may not simply be an isolated incident. The DOJ must be able to show in court that the agency has an unlawful policy or that the incidents constituted a pattern of unlawful conduct,” according to the Justice Department. A federal grand jury today indicted Michael Kennedy, a former West Virginia State Trooper, for using excessive force against an arrestee. Assistant Attorney General Eric Dreiband for the Department of Justice’s Civil Rights Division and U.S. Attorney Bill Powell made the announcement. A federal grand jury in St. Louis indicted four St. Louis Metropolitan Police Department (SLMPD) Police Officers for their conduct in connection with the arrest and assault of a fellow SLMPD police officer who was working undercover in downtown St. Louis during last year’s protests following the acquittal of a former SLMPD officer of a first-degree murder charge brought by the State of Missouri relating to the shooting death of a civilian. Two Honolulu Police Department officers were arrested today and charged in federal court with civil rights violations. John Rabago, 43, and Reginald Ramones, 43, were charged in an indictment unsealed today with one count of conspiring to deprive a person of his civil rights, and one count of acting under color of law to deprive the same individual of his civil rights. Specifically, the indictment alleges that on Jan. 28, 2018, Officers Rabago and Ramones deprived an individual of his constitutional right to be free from an unreasonable seizure by a law enforcement officer.